Prominent scientists representing key aspects of the BLUEPRINT project have been invited to participate in the Scientific Advisory Board (SAB). The Scientific Advisory Board will ensure a high standard of research and monitor the progress of the project. Moreover, the members of the SAB will assist the BLUEPRINT consortium with the selection of future associate members and connect BLUEPRINT to other (inter)national consortia. 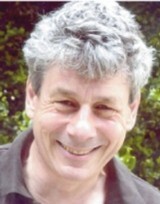 Philip Avner is Head of Outstation and senior Scientist at EMBL Monterondo. The focus of his research is on mouse genetics and epigenetics. His main research interest in the field of epigenetics is X-chromosome inactivation and his group has been at the forefront of research into the role of different components of the X-inactivation centre in the initiation of X-inactivation. Chas Bountra is Professor of Translational Medicine at the University of Oxford and Chief Scientist of the Structural Genomics Consortium (CSG). 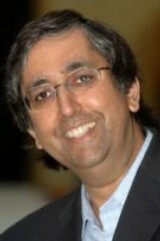 He worked for nearly two decades in pharma (GlaxoSmithKline). One of his legacies is the creation of a pipeline of novel targets for pain, for which there is some early clinical efficacy. He believes that the two biggest challenges in Drug Discovery are Target Validation and Translational issues. 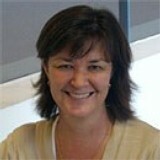 Susan Clark heads the epigenetics research group at the Garvan Institute of Medical Research in Sydney, Australia. She has made extensive ground-breaking discoveries relating to DNA methylation patterns in normal and cancer genomes. The techniques she pioneered in the early 1990s, including bisulphite sequencing, have revolutionised and now underpin a new era in epigenetics research. 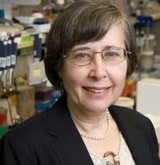 Connie Eaves is a Distinguished Scientist in the Terry Fox Laboratory of the British Columbia Cancer Agency, a Professor of Medical Genetics at the University of British Columbia and an elected Fellow of the Royal Society of Canada. She is best known for her pioneering contributions to defining that nature and regulation of normal and leukemic stem cells through the development and application of robust quantitative functional assays for these cells. 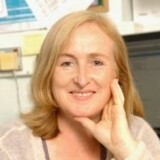 Amanda Fisher is joint head of the Lymphocyte Development group at the MRC Clinical Sciences Centre. Her research group has established an international reputation on fundamental aspects of cell commitment including pioneering work on nuclear organization, gene regulation and chromatin structure. In 2002 Amanda was awarded the EMBO gold medal. She is committed to developing imaginative ways to promote science in the public arena. Erik Forsse has ample experience in bio-ethical issues. He worked as an agent for the European Commission where he coordinated research ethics issues across the Directorate Health Research and he was active in the unit C3 Ethics and Science fr which he was secretary for the European Forum of National Ethics Councils. Next, he was head of the Secretariat of the Swedish National Council on Medical Ethics. Currently he is head of the Faculty Office on Reserach and Doctoral Education of the Karolinksa Institute which also is in charge of the secretariat of the Stockholm Regional Board for Research Ethics. Thomas Jenuwein is Director of Department of Epigenetics at the MPI Freiburg, Germany and Honorary Professorship, Medical Faculty, University of Freiburg. He was the coordinator of the EU FP6 Network of Excellence “The Epigenome” (2004-2009). Thomas Jenuwein has been focusing on the functional characterization of mammalian chromatin and with his team identified the first histone lysine methyltransferases (HMTases). 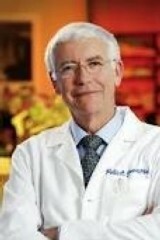 Peter Jones is Chief Scientific Officer at Van Andel Research Institute in Grand Rapids, Michigan (USA). He pioneered the field of epigenetics, particularly its role in cancer, and helped develop novel therapies for cancer. He is Past President of the American Association for Cancer Research and was elected as a fellow of the Academy of the AACR in 2013. He has published more than 300 scientific papers and received several honors. 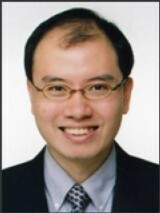 Huck Ng is Acting Executive Director at the Genome Institute of Singapore. He is renowned for his work in functional genomics and transcriptional regulatory networks in stem cells. Dr. Ng is one of the founding members of the Asian Epigenome Alliance which has the goal of promoting interactions and collaborations in the area of Epigenomics in Korea, Japan, China and Singapore. Chris Sander is Head of the Computational Biology Center at Memorial Sloan Kettering Cancer Center and Tri-Institutional professor at Rockefeller and Cornell Universities. 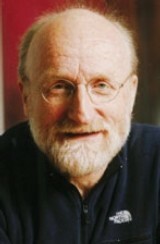 He is acknowledged as one of the founders of the field of computational biology, an interdisciplinary field that aims to solve important problems in biology using techniques of mathematics, physics, engineering, and computer science.